Many aging adults find that filling their days with meaningful activity is a challenge. If your aging family member is struggling to find joy in their daily life, including companionship, it might be time to learn more about the benefits of senior centers. Unlike a senior living facility or assisted living site, a senior center is designed for aging adults who still live at home. Senior centers exist to help aging adults enjoy the company of their peers and participate in activities that are healthy and fun. Sometimes senior centers are likened to YMCAs for those who are in a later season of life. 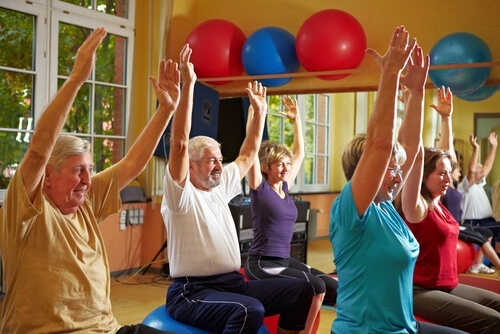 What Kinds of Amenities and Services Do Senior Centers Offer? To make the space safe for seniors, many centers design their buildings with non-slip flooring, easy to clean surfaces, handrails, noise-absorbing material, extensive lighting, and comfortable furniture. Wheelchair access is expected in such facilities as well. 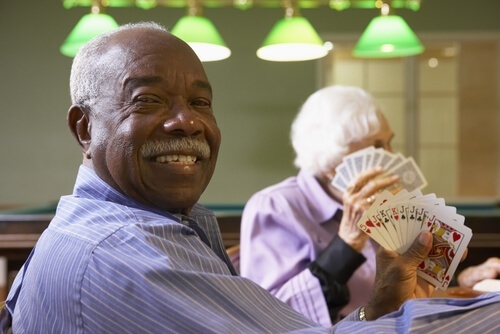 What are the Benefits of Senior Centers for Aging Adults? Seniors living at home often find it difficult to host events or to go visit with their friends in their homes. Activities like going to the gym or meeting in a public space can be challenging due to noise levels, crowds, or accessibility issues. One of the main benefits of senior centers is that aging adults have a space to enjoy activities safely and socialize comfortably. Some senior centers offer services like hair-cutting, meals, dementia care, and more. Practical benefits like these add to the fun quality of senior centers by making centers a one-stop shop for many common needs. Of course, the benefits of any center will depend on the specific services and amenities offered. Depending on the particular facility, senior centers can be extremely beneficial for helping your family member enjoy life practically while maintaining independence at home. What are Common Methods for Improving the Quality of Life of the Aging? One of the main reasons senior centers are so beneficial for aging is the socialization factor. Relationships actually trump finances in ranking for what most affects the quality of life of the aging population. For your family member, access to a senior center can be a big step toward preventing loneliness and enjoying life in the later years. To help your loved one enjoy living at home safely and comfortably, consider employing caregivers for companion services as well. Companion services can include providing transportation to and from places like seniors centers. Many companions can also accompany seniors in centers to help further the enjoyment of activities and friendships. Learn more about helping your loved one enjoy their later years at home comfortably and safely. Download our Free Guide to Home Care.